Wednesday morning, I suppose I had number stations on the brain. It was no surprise, as I had just watched The Numbers Station the previous night. 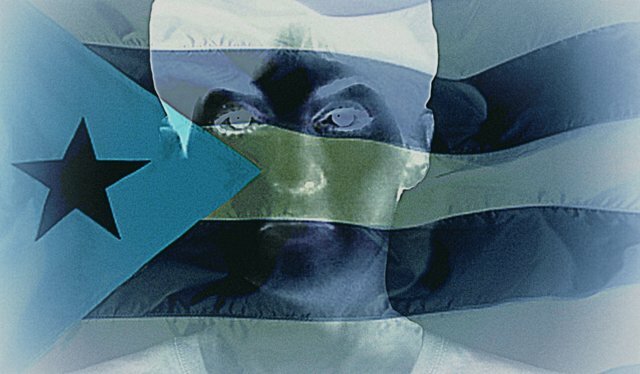 Nonetheless, I experienced a rather strange coincidence: I was reading an intriguing article about Ana Montes, “one of the most damaging spies in U.S. history,” when my shortwave radio–parked on 5,855 kHz–suddenly began to fire out an eerie series of numbers and data bursts from the Cuban numbers station, HM01. It was, unquestionably, the perfect accompaniment to the words I was reading. A reader sent Montes’ story–written by Jim Popkin for The Washington Post Magazine–which made for fascinating reading. And as I read the account of Ana Montes’ rise in the ranks of the DIA, while simultaneously becoming one of Cuba’s most important spies, I remembered that it was actually Montes’ case that reader Dirk Rijmenants’ referred to in his paper, and that we posted earlier this year. On a side note, as Rijmenants points out, using a computer to decipher a numbers station was both unnecessary and risky. The story Popkin recounts, though, paints the picture of a very complex operative. One who, until discovered, was very successful at her craft. She pulled the wool over the eyes of the DIA and spied for the Cuban government for many years. The story is complex, and Popkins’ account somehow maneuvers through the twists and turns. Note that the year Montes listened to the Cuban numbers station on 7,887 kHz, it only contained numbers–unlike the recording here of HM01 (Hybrid Mode 01) which contains both voice and RDFT data bursts (which you can also decode, but not necessarily decipher). This recording of the Cuban numbers station HM01 was recorded on April 24, 2013, at 10:00 UTC on 5,855 kHz in AM. Click here to download the recording as an MP3. Again, click here to read Jim Popkin’s full story of Ana Montes on The Washington Post Magazine website. This entry was posted in Articles, Numbers Stations, Podcast, Recordings and tagged Ana Montes, cuban numbers, Cuban Numbers Stations, Cuban Spies, Dirk Rijmenants, Numbers Stations on April 26, 2013 by Thomas. I thought it to be a fine article as well. I previously had read the Carmichael book “True Believer” which I must recommend. The nagging question remains : What model of Sony did Ms. Montes employ in her treachery ? My guess is a 7600 of some flavor, too. I suppose they ruled out an R-390A fairly early in the planning. Like the SP-600, I bet the R390A was ruled out due to the lack of a telescopic antenna. And a leather case. That’s a well written story. 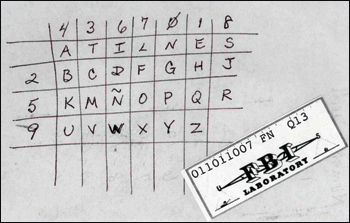 How many times have we in the swl community listened to a numbers station wondering who was on the other end and what they were doing with the digits? Agreed! And I remember times back in the late 80’s when it was hard not to hear a station on the air. If the shortwave spectrum has a dark side, numbers stations live there!